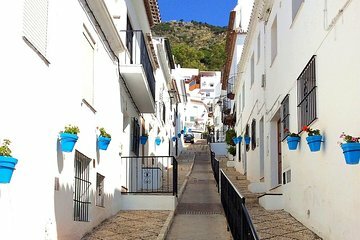 Get a taste of traditional Malagan village life with a private, half-day tour to charming Mijas Pueblo from Marbella. Stroll through the narrow streets lined with typical whitewashed homes and hanging flowerpots while a guide shares insight into local culture and history. See the town chapel, bullring and main plaza, and catch a live outdoor flamenco show on certain days of the week. Enjoy the personalized attention of a private guide, and cap off the morning tour with a tasting of regional wines (at own expense).